Inner skins glued in place, center ankles just about finished! 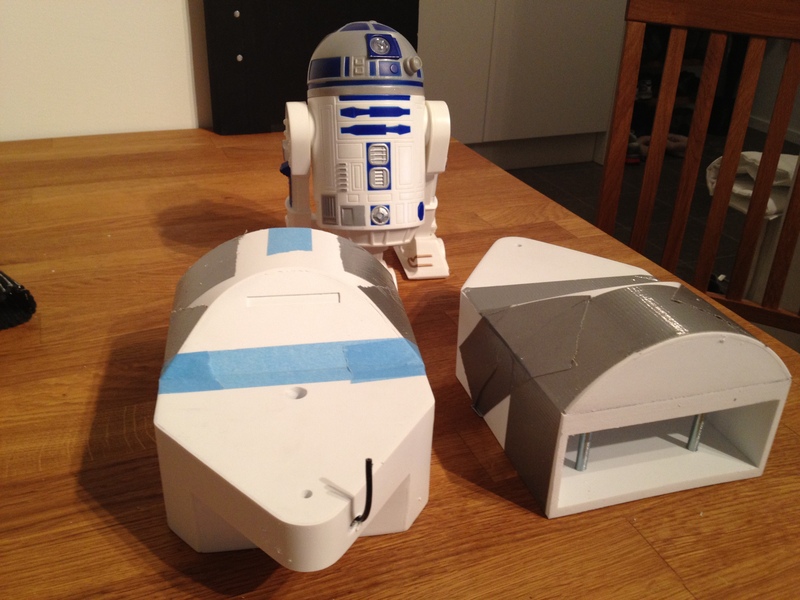 Home/Building/R2-D2/Inner skins glued in place, center ankles just about finished! So, apart from making the slip ring explanation, I did glue the inner skins in place. It was a bit scary, as any mistake here can be hard to undo later on. Especially since I don’t have enough styrene to cut new skins! Anyway, the whole procedure went well, took about 90 minutes in total with everything. I noticed that once the glue started setting, the whole construction is a LOT more solid than compared to just the frame with skins taped on. These skins will now set overnight, and hopefully I’ll have time to add the outer skins in the next few days. Once the skin was on, it was time to put some more focus on the main ankles. I sanded down the new layer of styrene on the beefy parts until they fit nice and snug, and glued them in to place. As usual, tiny R2 is inspecting! Now: time to spend some time into making the shoulder hubs! 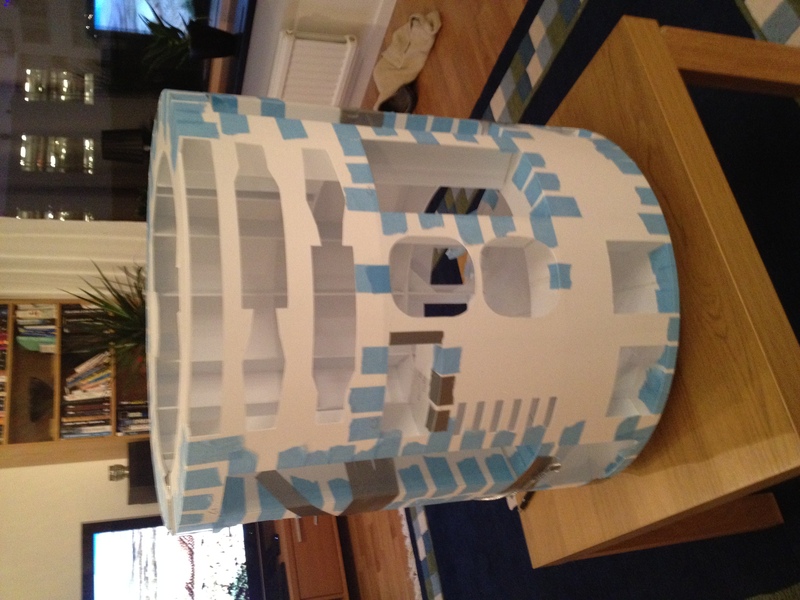 By micke|2016-12-06T00:01:55+00:00February 15th, 2012|R2-D2|Comments Off on Inner skins glued in place, center ankles just about finished!